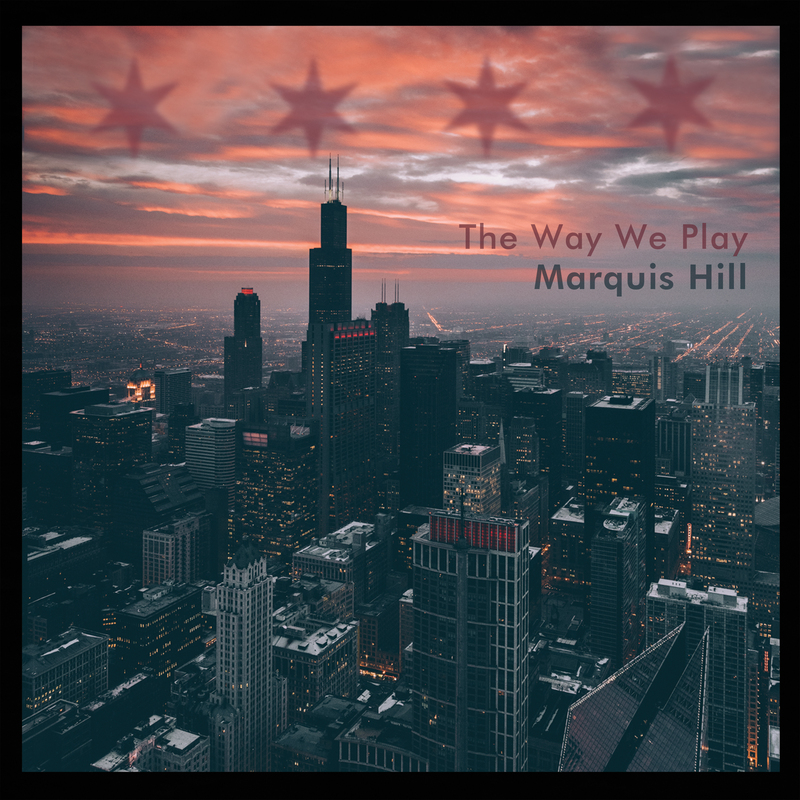 Marquis Hill | The Way We Play - TheUrbanMusicScene.com | Music Reviews! It’s arduous being innovative when so much innovation has materialized in the past. Particularly in jazz, with so many prodigious pioneers, finding a truly distinct lane and showcasing similar innovative spirit is intimidating. 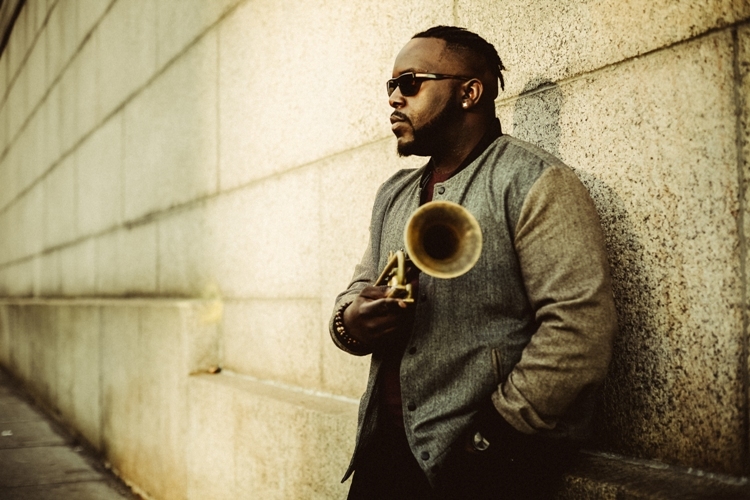 It’s not intimidating for Chicago trumpet standout Marquis Hill, who proves he’s a musical force to be reckoned with on latest album The Way We Play, his first for Concord Jazz. Just 29 – still a newbie in the game – Hill, alongside a talented cast (The Blacktet) delivers a gripping album of standards. While the idea of standards may sound unexciting particularly considering the aforementioned philosophy on innovative spirt, in the hands of Hill, Christopher McBride (alto sax), Justin Thomas (vibes), Josh Ramos (bass) and Makaya McCraven (drums), standards could never be a bore. Why? The Way We Play is all about reinvention – reinterpretation of the classics which makes them sound brand new. There’s even more. “Maiden Voyage” and “Straight No Chaser” both look beyond the original chart and performances. “Maiden Voyage” embraces a cooler, contemporary jazz/adult contemporary R&B vibe, a clear contrast to Herbie Hancock’s biting original from 1965 album of the same title. As far as “Straight No Chaser” is concerned, rather than establish the theme (head), after a quick melodic line from Hill/McBride, McBride kicks into a solo over the harmonic changes. Hill follows, again without the head, which doesn’t appear until the end. Beyond “Maiden Voyage” and “Straight No Chaser,” the Blacktet continue to “do work” without missing a beat, riff, or note. “Moon Rays” maintains key ideas and cues from Horace Silver’s original, but opts for a quicker tempo and a funkier, busier groove courtesy of McCraven. “Smile,” the epitome of old-school torch, doesn’t play true to Charlie Chaplin’s famed classic – it’s hip, but in asymmetrical meter. Even briefer moments such as the lush “Prelude,” Hill’s trumpet feature “Polka Dots and Moonbeams,” or “Juan’s Interlude” are intriguing.